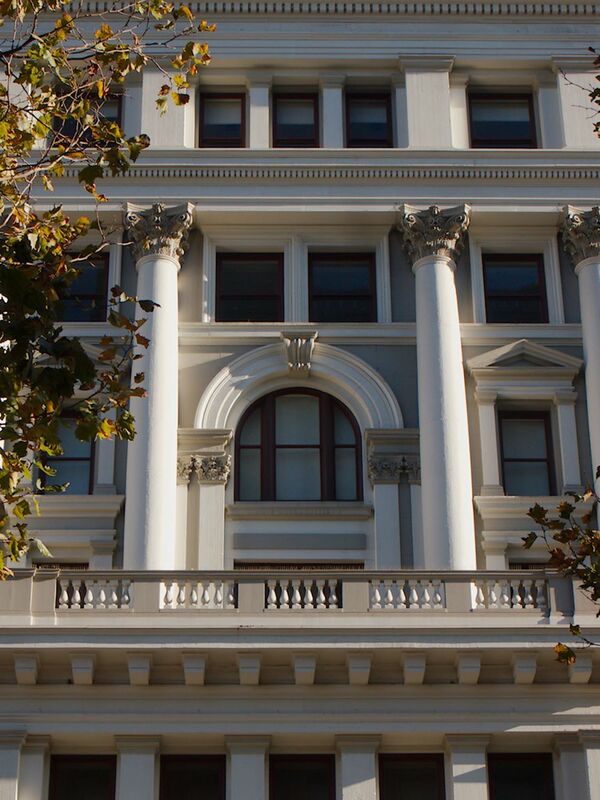 Built originally in 1896 for the estate of John Parrott, a pioneering San Francisco Banker who had died in 1884 it began as the customary office building with ground floor retail. In fact, at one time it was the official seat of the California Supreme Court. 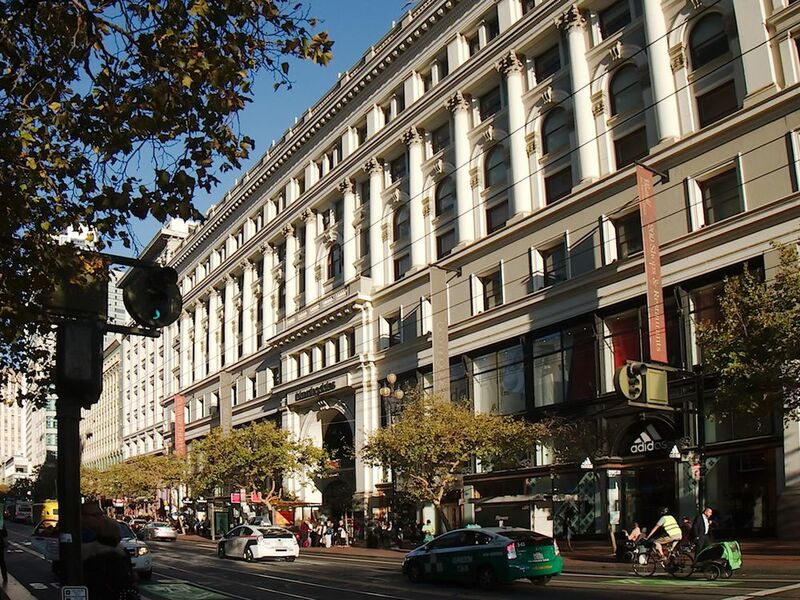 By 1906, the retail shops had coalesced through merger into the Emporium Department Store, long a San Francisco Institution. The building withstood the earthquake but was gutted by the fire. Only the facade survived. Pissis, who, in the intervening years had designed the neighboring Flood Building in part to complement the Parrott Building, also oversaw the restoration and expansion, retaining the facade and designing a new dome for the center of the building. 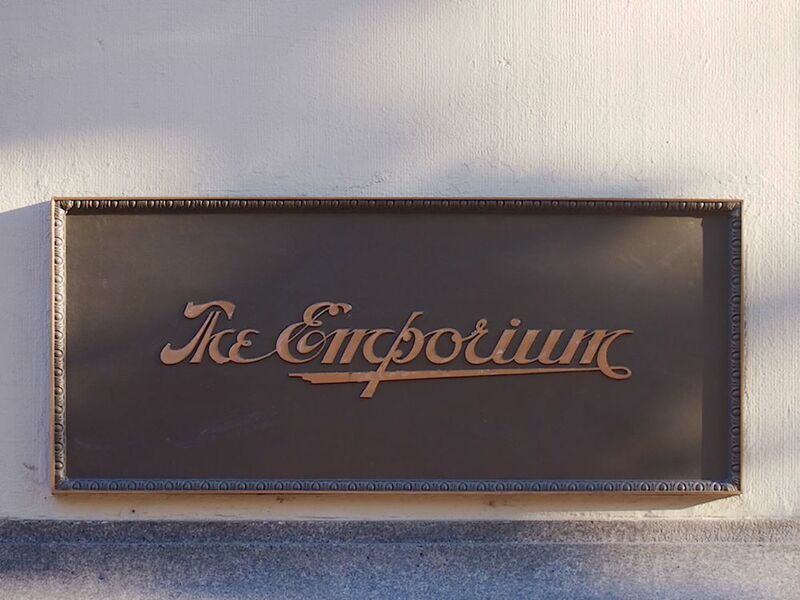 The Emporium closed in the early 1990's. After some years, it was replaced by a new extension of the adjacent Westfield shopping mall. The facade was kept, and the dome was raised two floors as the centerpiece of the new structure. Today the facade, tomorrow the dome.